Above is the Uniball Signo Gel RT Pen Top View with Blue Ink and Trim. Above is the Black Uniball Signo Gel RT Pen with a Logo printed. 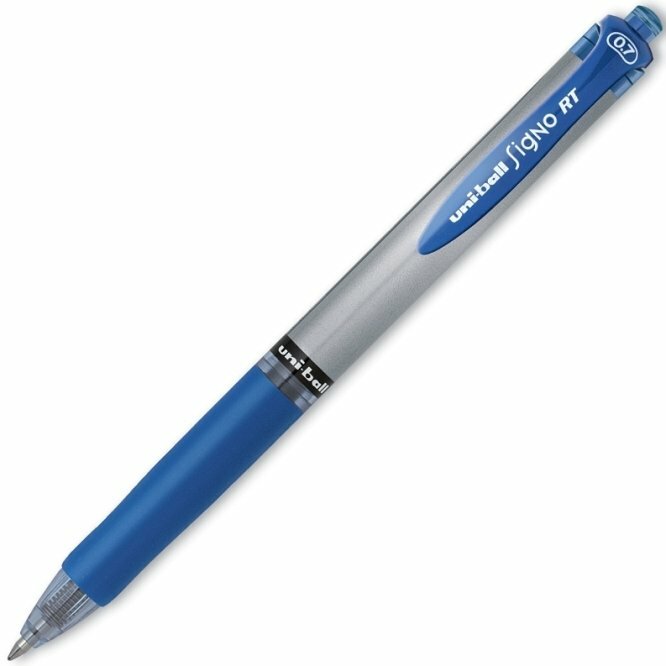 Above is the Blue Uniball Signo Gel RT Pen with a Logo printed.